Some of our movies can be found on our Youtube channel. 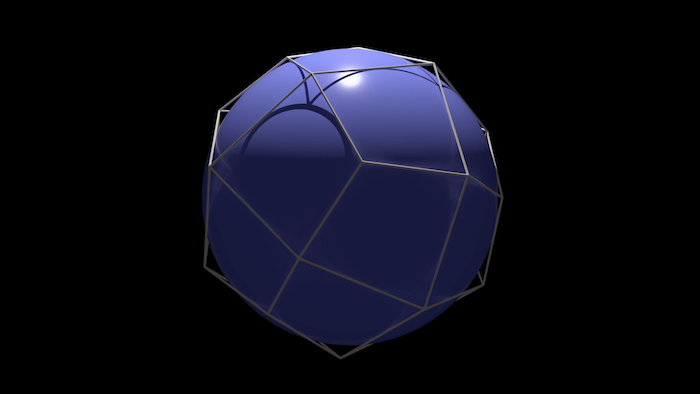 This short experimental animation film explores the abstract mathematical world of Koebe Polyhedra and minimal surfaces. A 3D voyage thought the amazing world of discrete geometry, based on modern mathematical research. Infinity has fascinated mankind for centuries. We wish for eternal life - looking up, space marks the final frontier. The idea of infinity for mathematics was invented by Georg Cantor; the 6th January 2018 marked the hundredth anniversary of his death. This documentary presents Georg Cantor’s life and his exploration of infinity for mathematics. Saxonia-Entertainment produced this documentary in collaboration with the SFB/TRR 109 and the TU Berlin for the MDR which will present it on Sunday, 4th March 2018 at 22:20 h.
For further information please visit Saxonia-Entertainment or MDR. We describe a new approach for the purely Eulerian simulation of incompressible fluids. In it, the fluid state is represented by a ℂ²-valued wave function evolving under the Schrödinger equation subject to incompressibility constraints. The underlying dynamical system is Hamiltonian and governed by the kinetic energy of the fluid together with an energy of Landau-Lifshitz type. The latter ensures that dynamics due to thin vortical structures, all important for visual simulation, are faithfully reproduced. This enables robust simulation of intricate phenomena such as vortical wakes and interacting vortex filaments, even on modestly sized grids. Our implementation uses a simple splitting method for time integration, employing the FFT for Schrödinger evolution as well as constraint projection. Using a standard penalty method we also allow arbitrary obstacles. The resulting algorithm is simple, unconditionally stable, and efficient. In particular it does not require any Lagrangian techniques for advection or to counteract the loss of vorticity. We demonstrate its use in a variety of scenarios, compare it with experiments, and evaluate it against benchmark tests. A full implementation is included in the ancillary materials. Clebsch maps encode velocity fields through functions. These functions contain valuable information about the velocity field. For example, closed integral curves of the associated vorticity field are level lines of the vorticity Clebsch map. This makes Clebsch maps useful for visualization and fluid dynamics analysis. Additionally they can be used in the context of simulations to enhance flows through the introduction of subgrid vorticity. In this paper we study spherical Clebsch maps, which are particularly attractive. Elucidating their geometric structure, we show that such maps can be found as minimizers of a non-linear Dirichlet energy. To illustrate our approach we use a number of benchmark problems and apply it to numerically given flow fields.